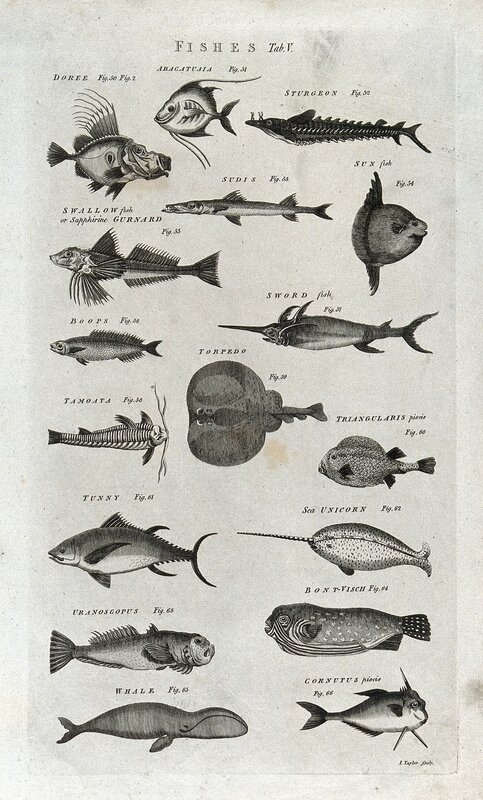 Taxonomy in the 18th century struggled with how to define whales and dolphins. 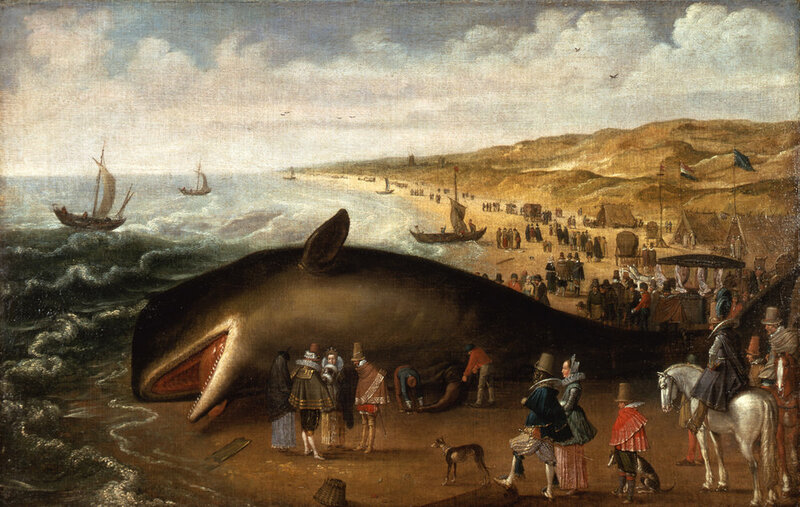 But even after science had reached a consensus, popular imagination continued to wonder: is a whale a fish? While scientists quibbled over terms, functions, and definitions, laypeople had the common sense to know: a whale was a fish. Sampson and Anthon represented the fish oil inspector James Maurice against a whale oil businessman named Samuel Judd. A recent shipment had arrived of new sperm whale oil. Candlemaker and oil merchant Samuel Judd had purchased three barrels of oil, but inspector Maurice claimed Judd owed fines on the oil in accordance with fish oil law. Since Judd had avoided the inspection, he owed the city a $75 fine. But Judd claimed that whales were not fish, and he did not need to pay the fee. When he still refused to pay, Maurice brought Judd to court. As the largest creature of the water, common sense would probably lead most 18th century laypeople to conclude that whales were fish. Whales, dolphins, and fish all share a similar torpedo-like shape, smooth skin, and thick fins. They swim deep under the water and only surface for moments, shooting streams of water into the air. They dive, jump, and leap through the water. They are the kings of the oceans. Despite their habit of respiring air, whales and other large creatures of the sea remained a mysterious fish for ancient writers. He first published the method in 1735 and explained that his method required naming. To name something was to investigate its nature. Just as streams lead to rivers and lakes and larger bodies of water, so too did names organise the various parts of the world. He said, “The framer of a systematic arrangement begins his study by the investigation of small details.” To accomplish this process, Linnaeus examined the animal as a machine. The parts of the animal could then be divided into systems, like an engine, where each group was composed of its functioning parts, or in biological nomenclature, the organs. And what were these particulars? As Linnaeus visited museums and collections around Sweden, he studied individual specimens and divided animals into six classes: Mammals, Birds, Amphibians, Fishes, Insects, and Worms. Mammals and birds were grouped together since they both had a four-chambered heart and warm blood. Amphibians and fishes were next grouped together since they were cold-blooded and had a heart composed of a single auricle and ventricle. Finally, insects and worms formed the final set, because they had a single auricle and ventricle and were cold-blooded. Additional criteria based on functions defined the classes. For instance, mammals gave birth to live young, meaning mammals were viviparous, and the birds gave birth by eggs, making them oviparous. Linnaeus also pointed out that mammals milked their young, walked on four legs, and were mostly covered in fur. Thus, despite all the anatomical evidence showing that whales ought to be organised with mammals, Linnaeus felt common-sense forced him to class them with fish. Analogy helped Brisson categorise the animals. He thus defined creatures in terms of their relationship to the human body and divided them according to their blood, lungs, ventricles, reproduction, hair or fur, and number of appendages. By subtracting the number of similar analogies to human anatomy, Brisson identified nine classes: quadrupeds, cetaceans, birds, cartilaginous fish, fish, reptiles, crustaceans, insects, and worms. Why then were they not classed with the other mammals? Again, the reason was their environment. “All the animals of this class always live in the water, and they never leave, without risking their lives,” Brisson wrote. Museum “cabinets”, however, could only offer so much to natural scientists. Brisson was only able to examine a few cetaceans in the natural history collections. It would not be until 1787 when the whaling industry began to take off that natural history had more direct information on whales. Before kerosene and the discovery of petroleum, whale oil lit the world and was the engine of industrialisation. Although a dangerous enterprise, hunting blubbery whales could yield huge profits. Natural scientists like John Hunter commissioned other “scientific minds,” to help them collect specimens for dissection and further investigation, for “the animals which inhabit the sea are much less known to us than those found upon the land.” Hunter commissioned one surgeon on a whale ship to Greenland to bring back a specimen. The surgeon had difficulty, and “the only return I received for this expense was a piece of whale’s skin, with some small animals sticking upon it.” His protégé Edward Jenner, who would go on to become a vaccine pioneer, sent him another sample which originated off the coast of England. After Brisson published his book, Linnaeus was inspired. He opted to go one step further: “This order of Cete [which includes whales and dolphins] ought...to have been arranged with the class of Fishes; but … employing the circumstance of suckling their young as a characteristic mark for a number of animals, [I have included] these [as mammals].” Linnaeus then became the first to claim that whales were indeed mammals in his ninth edition. Brisson felt cheated. Published soon after Linnaeus’ 1756 edition, Brisson wrote in his new volume on birds, “Following my example, [Linnaeus] replaced Cetaceans under the Quadrupeds, by reason that they suckle their young; but so as to appear he did not copy me, he placed them in the same class [as mammals], a fact which I do not find tenable.” Even as organ structure and biological systems came to replace classical differences, whales challenged scientists’ judgments. The environment must have played a factor, to make whales either related to fish or as a separate marine animal. How could they be mammals? For scientists, the answer came with access to more specimens. The medical doctor John Hunter was able to justify Linnaeus claims that the whale and its relatives were mammals. He conducted 12 dissections on the various whale specimens collected from around the world. He even had examples of that rare white whale: the balaena mysticetus, or the Sperm Whale. By the 19th century, the scientific community had largely reached a consensus: whales were mammals and not fish. Other studies continued to substantiate the evidence. Yet, the question needed to be repeated, because the answer was not so intuitive to those not absorbed in the pursuit of scientific study. “Common sense” won the day. After closing statements, the jury retired. In fifteen minutes, they returned with their verdict in favour of the plaintiff and demanded the defendant pay the penalties. Even after all the debates over how to classify cetaceans, in 1818, a whale could still be a fish.